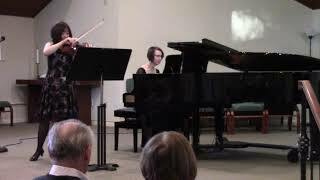 Kobayashi/Gray Duo - Lili Boulanger's "D'un matin de Printemps"
Live performance of the Kobayashi/Gray Duo performing Lili Boulanger's "D'un matin de Printemps" at Fripp Island, South Carolina. 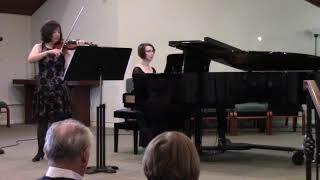 Live performance of the Kobayashi/Gray Duo performing "Dogberry and Verges" (March of the Watch) from Erich Korngold's "Much Ado About Nothing Suite", Op.11, at Fripp Island, South Carolina. 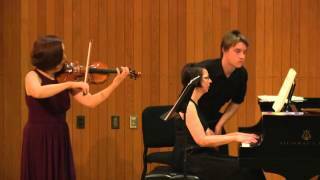 Kobayashi/Gray Duo - "Cortege" from Lili Boulanger's "Deux Morceaux pour Violon et Piano"
Live performance of The Kobayashi/Gray Duo performing "Cortege" from Lili Boulanger's "Deux Morceaux pour Violon et Piano" at St. Olaf College in Northfield, Minnesota. 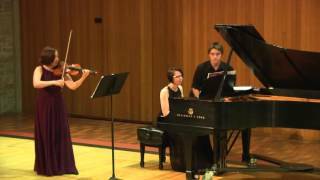 Live performance of The Kobayashi/Gray Duo performing "Notturno" by Emilie Mayer at St. Olaf College in Northfield, Minnesota. 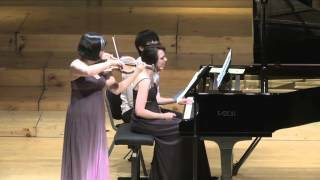 Kobayashi/Gray Duo - "Fugue" from Alfred Schnittke's "Suite in Olden Style for Violin and Piano"
Live performance of The Kobayashi/Gray Duo performing the "Fugue" movement from Alfred Schnittke's "Suite in Olden Style for Violin and Piano" at Mahidol University in Salaya, Thailand.